ProWein’s featured exhibit area offers space for nearly 100 diverse producers of craft spirits, beers and ciders. (Prowein Dusseldorf Germany – March 17-19, 2019). Craft drinks are a major global trend at fashionable bars and restaurants. These spirits, beers and ciders sell themselves based on their creative, quality-minded use of natural ingredients. 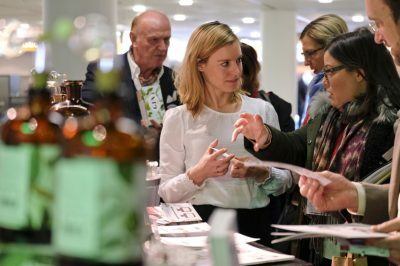 ProWein 2019 will expand on last year’s successful launch into the world of craft drinks. Its “same but different” featured exhibit will showcase artisanal craft spirits, beers and ciders from nearly 100 exhibitors from 22 countries. 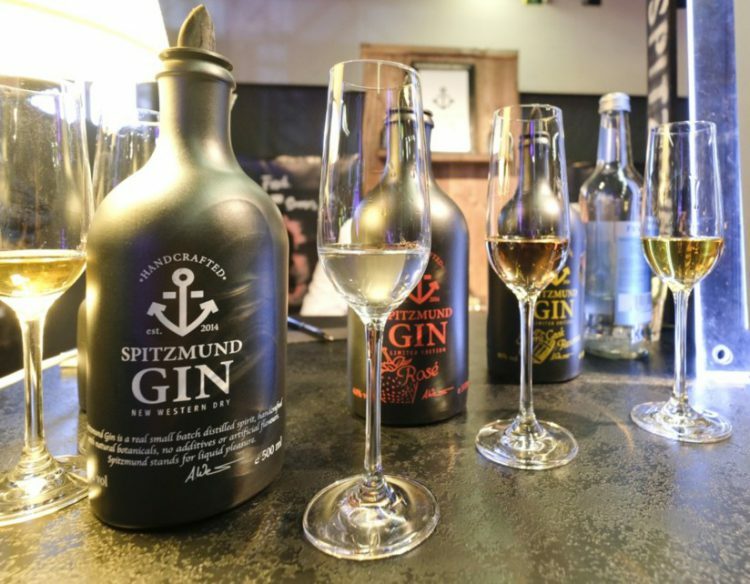 The fizzz lounge, which has served as a ProWein hotspot for the international bar scene, will be tapping into this movement as well through its “Zero Waste – Sustainability behind the Bar” project. The concept focuses on the economical use of raw materials and an optimized recycling flow. The featured exhibit will explore a promising portfolio of craft drinks, including Cachaca from France and the Netherlands, gin from Belgium, Germany, France, Italy, Canada, Norway and the UK and whiskey from Germany, France, Greece, Italy, Norway and Austria. A small but fine collection of ciders will also be on hand. While Germany, France and England hold the lion’s share of space at the featured exhibit, businesses from Scandinavia and the Baltic states (Estonia, Finland, Latvia, Norway and Sweden) are also well represented. Presenters from overseas include Canada, Mexico, Peru and the USA. The craft scene frequently focuses not just on the gentle, creative processing of raw materials, but also regionality itself as a marker of quality. Over 90 percent of the ingredients in Vulkan beer (Hall 7.0, Stand D33) from Germany’s Eifel region, for example, are locally sourced. These truly special craft beers are produced in original Bourbon barrels from the USA in what the company claims is the deepest beer cellar in the world (30 meters). Ming River (Hall 7.0, Stand C31) will be enjoying its ProWein debut at the “same but different” exhibit. The brand’s US importer will be presenting baijiu, the world’s most popular liquor — albeit one that is almost unknown in the western world. More than 13 billion liters of this clear spirit are estimated to be consumed annually, almost exclusively in China. But that may soon change. Another youngster on the market is Padre Azul (Hall 7.0, Stand B04), a prize-winning 100% super premium tequila of blue agave with vanilla and caramel aromas. The first batch of this special concoction, the love child of an Austrian man and a Mexican woman, hit the market just two years ago, but has already turned many heads in the industry. Handball legend Stephan Kretzschmar for one has declared his love for Padre Azul. Sustainability and ‘zero waste’ are two terms not usually associated with the bar scene. Konstantin Hennrich and Kersten Wruck, who opened their Stairs Bar in Berlin 18 months ago, are prime champions of the movement. Yet even they express some surprise at just how much momentum the trend has gained. “From the start, we were very concerned with sustainability. Think about a lime or an orange. You can actually use all of its different elements: the juice, the zest — even its white pith, which has a bitter component that works perfectly in oils,” Konstantin Hennrich notes. One specific example of the principle, which might be better dubbed ‘less waste,’ is the ‘leather’ that can be produced from the peel and other unused pieces of fruit. The final result makes for attractive decoration. What’s needed is a streamlined workflow at the bar, especially behind the scenes. Each individual production step must be planned and harmonized precisely with the finished products. Waste is slashed and less raw materials are consumed in the first place. Bartender Konstantin Hennrich will be demonstrating how it works several times a day in the fizzz lounge. Craft beer tastings, including “German Classics reloaded,” “Freak out – Beyond the German Purity Law,” “Barrel-Aged Beers” and “Beer Nation Belgium” are all also planned.